Dance is about so much more than just what your body does. If you know what you have to offer, sharing it in the way you dance is easier. Building your own success story starts here-ish. Getting to this point means joining the dots between moments of inspiration and daily, weekly practice. We’ve developed creative habits that help do more than just talk about all of this. Ok, so we are Christina Woodard and Jo Bolden. 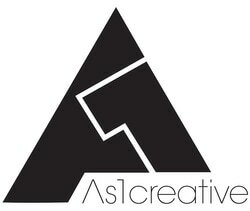 Together we are As1creative, LLC (not superheroes, just sounds like that kind of intro!). Our collective resumes will show you credits from international dance conventions, Nickelodeon, dance studios, dance companies, industrials, TV, film and more from across the U.S.A, Australia, Canada, New Zealand and beyond. Neither of us were going to be dancers, both of us followed our hearts AND used our heads to have successful careers that keep us inspired. ​Separately we both have reputations for defining our own style of artistry and open, real connections with those involved. Together we combine this international experience from around the globe as choreographers, artistic advisors, master teachers and dancers. We both LOVE live music, Paris (& Hawaii & Australia), really good flea/vintage markets, vanilla almond milk and making a difference. One of us speaks French, the other is a bodywork practitioner. Neither of us like to spend too much time on social media or miss out on good family and friends time.